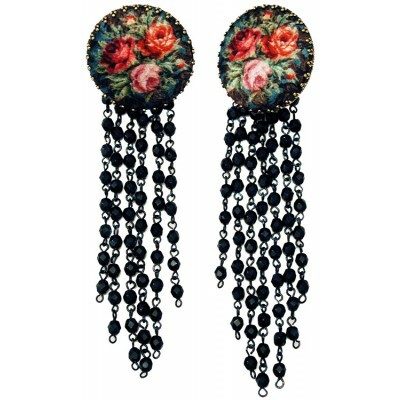 Michal Negrin clip earrings. 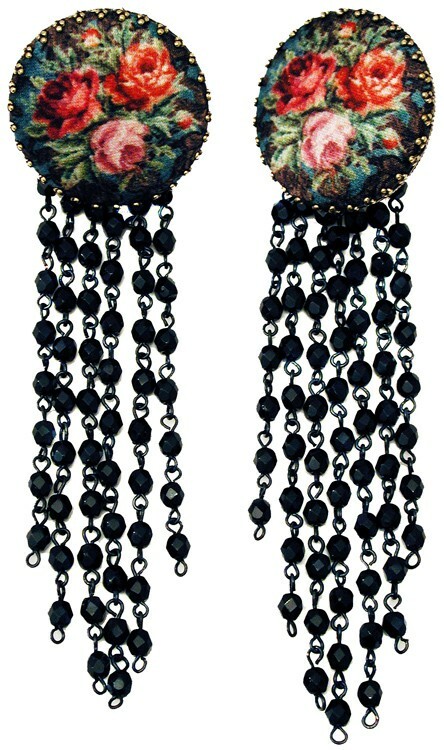 With printed fabric cameos that have Antique style Roses pattern and black beads. Measure 4 1/2 inches long. The cameos measure 1 1/3 inch in diameter.